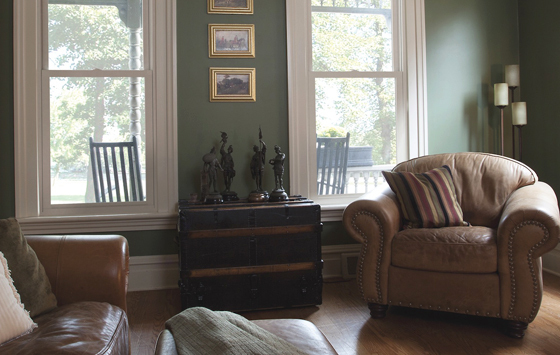 5 WAYS TO TELL IT’S TIME FOR NEW WINDOWS! 1. You can feel it in the air! Wait, why is it colder in the living room than it is in the bedroom? Do you feel a draft ona windy day even when the window’s closed? Do you put plastic wrap over your windows in the winter, not because you like the saran-wrap look, but because you feel you need to? Let’s face it, if you and your family can’t even live comfortably in your own home, why are you putting this off? Temperature differences from room to room, drafty windows, and a home that’s frigid in the winter and hot in the summer are all things you can fix once and for all with replacement windows. 2. You can feel it in your wallet! No, don’t call the police; you haven’t been robbed. The money missing from your wallet is in the pockets of your local gas and electric company. If your energy bills are out of control, it could be due to your old windows’ poor energy efficient. They may actually account for more than 25% of your heating bill, and that adds up in a hurry. If you’re tired of high energy bills, replacement windows will take care of that problem for good. 3. You see it with your own eyes! Maybe you see cracking or rotting on your old windows, and your windows are sticky or hard to use—let alone clean. You may even see condensation inside the window—and if it’s frost that eventually melts, it could cause water damage over time too. If you can see these problems with your own eyes, ignoring them will only cost you more grief (and more money) later on. It’s time for a change! 4. You can actually hear it! If you can tell how busy traffic is, hear a train like it’s cutting through your yard, or know when the neighbor’s kid is practicing the tuba, you don’t really have to. You can be the prisoner of noise pollution in your own home and buy ear plugs in bulk, or you can remember that replacement windows can cut noise by up to 50%! 5. You’re ready for a change! Sometimes you just know it’s time for a change. You want more light in a dark room, you think your dated-looking windows make your home have less curb appeal, and you’re tired of the hassle of dealing with old, hard to use windows with torn, loose or floppy screens. If you know it’s time for a change but the only thing that’s keeping you from doing it is the cost, consider this: Your home’s value will increase, your energy bills will drop, and you’ll soon recover most—and before too long all—of your investment. Between that and great terms on financing, you know you’re ready for a change! If any of those apply to you, it may be time to contact a reputable replacement windows company to learn more about your options, and the cost. Ridge Top Exteriors and its friendly staff (certified as Platinum-level Master Consultants by the largest vinyl windows manufacturer in the US) offer free home inspections and absolutely FREE, no-obligation estimates—so don’t put off for tomorrow what can make your life better today! Learn more about our windows here!